HTC is suffering from a crisis of direction and identity, and it needs to get a grip fast. Though the Taiwanese company can lay claim to one of the most highly regarded phones in the world, it's struggling for sales. Its stock price is reportedly at an 8-year low, audio partner Beats is said to be plotting an ouster and executives are fleeing. It also has a leader who has critics arguing whether he can turn HTC around or stands as the obstacle in revival's way. 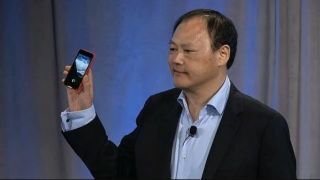 In a Reuters report published on Aug. 20, 12 former and current HTC executives spoke out against CEO Peter Chou, saying his abrasive management style and lack of strategic vision have contributed to the company's hard times. We've never sat in on an HTC manager meeting, so whether allegations of a shoot-from-the-hip approach to product planning and the open berating of managers was true or still continues, we can't truly know. But all you have to do is look at the HTC we have today to see that this is a company in need of righting. Here are a few suggestions to help it get its act together before we bid adieu for good. Let's start with April's HTC First. The phone itself was fine, but the decision to partner with Facebook on the non-Facebook Facebook phone was misguided. Producing a mid-range handset that either plays host to a constant Facebook presence or, when you turn Facebook Home off, a nondescript Android experience is the definition of confused identity. HTC, led by Chou, may be able to adjust to the calls of the market quickly, so it's not surprising it jumped on the chance to capitalize on this crazy thing called Facebook, but how did it fit in the company's long-term strategy? It didn't. Then the sun came through the clouds, and we were gifted with the magnificent HTC One, a device that does seem to be having a positive impact on the company. It may not be the savior HTC hoped for, but at least it's given the phone maker some industry cred. It could've been, and still could be, a truly heroic device, if the company allows it. Because where do you go after you launch a universally lauded phone? To variations, of course! How very trendy of you HTC. Have you been paying attention to Samsung's Galaxy line, by any chance? HTC introduced the HTC One Mini last month and like its big brother, it's a well-reviewed phone. But winning over reviewers and giving customers a product they end up buying are two different things. The phone is only now starting to go on sale (Aug. 23 in the U.S.), so whether people flock to the downsized (in more ways than one) HTC One Mini or it enters the land of why-did-they-do-it derivations, we don't yet know. It will likely be very attractive to consumers in its price point ($99.99 in the U.S.) but is it good enough and different enough to defeat other low- to mid-range entrants as time goes on? HTC is also rumored to be readying an HTC One Max, which could easily cannibalize the already not-so-superb sales of the One as well as the Mini as it's just taking flight. We've actually argued against HTC plopping a One-branded phablet on the market, and as John McCann wrote, the One Max stands to overshadow the One, further crippling HTC. HTC has to compete, and part of that, at least in the world of smartphones, is coming up with new devices at a clip that keeps customers' attention. We get that. But HTC is different in that the HTC One is such a strong device, and the company is at a critical cross roads, that perhaps product restraint and a more spaced out product cycle would have been the more prudent approach.